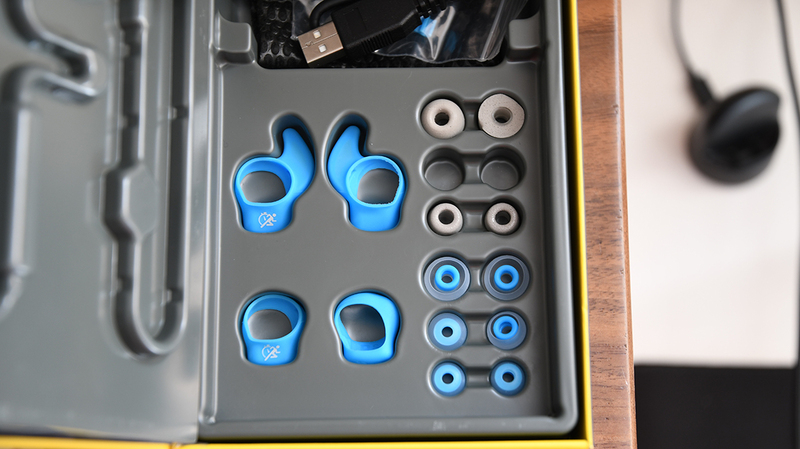 TThe Bluetooth workout headphone field is as wide as it is colorful. It’s one that Danish wireless headset maker Jabra has been involved with for some time now, with its simply named Sport line. The company’s latest two entrants up the ante, bringing new fitness tracking metrics and coaching to the table, in an attempt to set themselves apart from the pack. The Pulse and Coach’s audio qualities are identical. Aesthetically, the only differences are colors and markings, so it’s easier to describe them as a pair. Firstly they’re loud, featuring excellent mids and highs, with some noticeable boosting of the lower spectrum. It’s not a deal-breaker, however, and ultimately doesn’t take away too much from the experience. 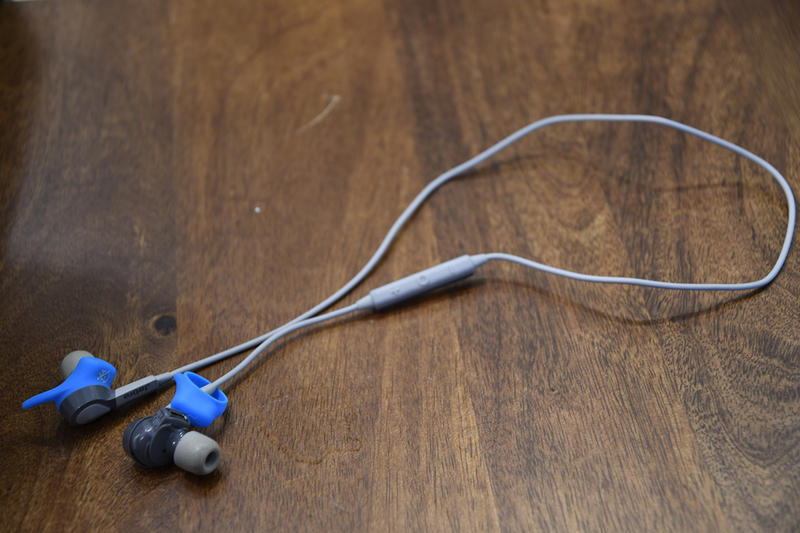 The onboard noise cancellation is of the passive variety and with foam tips in place, they remove many ambient sounds. 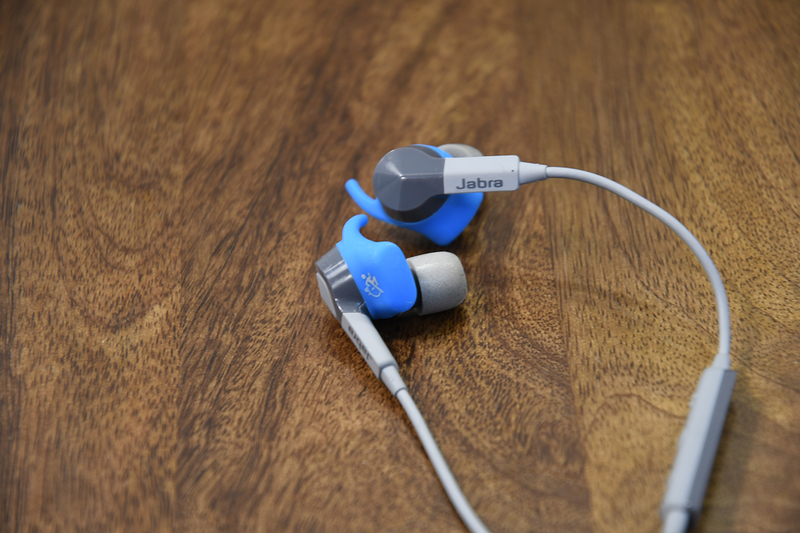 Jabra bundles six tips in a variety of sizes — three silicon and three foam. I preferred the foam, as they offer the best seal. They’re also much better handling sweat and making sure the headphones stay in place during a run. Naturally, the new Sports also do calls. Jabra’s placed the micro on the right-hand side, along with the control panel. 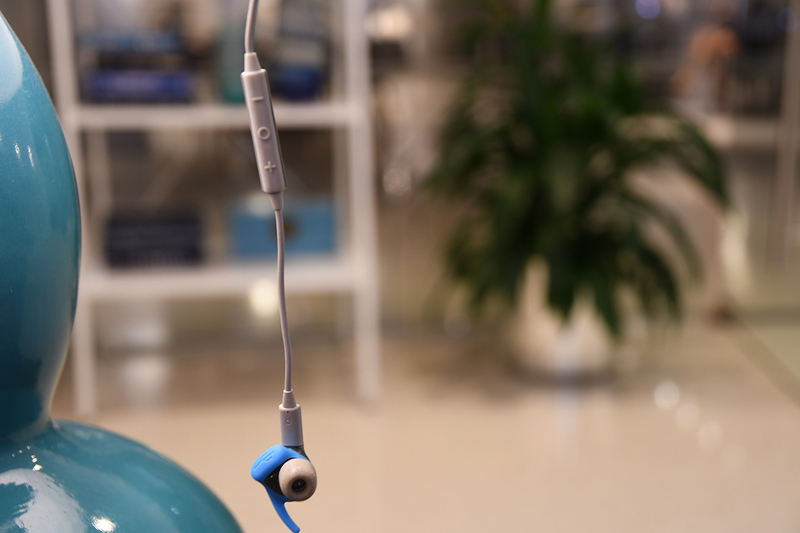 Together with the earbud-mounted button on the left-hand side, you can answer calls, control playback and volume. The headphones are IP55 water and dust resistant, meaning you’ll be able to sweat on them, no problem. Just don’t try to take them swimming. As for battery life — it’s not great, owning no doubt to the desire to keep the headphones light, while packing in features. Jabra’s own rating is 5.5 hours of talk time with two hours of charging. And, indeed, I found myself having to plug them in at the end of each day. It’s only downhill from there if you work out a lot. As for the preference between the headphones — that all depends on whether you’re looking for voices in your head. Both the Coach and the Pulse special editions can interface with Jabra’s own Sport Life App on iOS or Android. In the Coach’s case, that means counting reps, coaching you audibly during workouts. You can plan a workout from the app, or start working and the headphones handle the rest, partly in thanks to a motion sensor. Neat. It’s a cool feature that makes sense once you actually take it for a spin. The headphones feed useful information, so you don’t have to a phone screen or a wearable on your wrist. Instead, you can just focus on the exercise. The Sport Pulse special edition are the more costly pair, by $40. Instead of just counting reps, the headphones track your heartbeat in BPM by measuring through your inner ear with a biometric sensor. The data is then served to you in audibly, or through the Sport Life app. And metrics go beyond just beats per minute. Jabra utilizes a metric called VO2 Max. It’s a way to measure absolute fitness; the maximum rate of oxygen that your body consumes during exercise, which aids in determining your true endurance level. A 25-year old male with a VO2 max score over 50 is considered to be fit. A VO2 score of 45 and above is excellent for a woman of the same age. Meanwhile, a professional athlete like thirty-one year-old cyclist and two-time Tour De France winner Chris Froome clocks a VO2 of 84.6. Thankfully, now with the Sport Pulse, you’ll know just how really not fit you are. As a former tournament-level tennis player and current martial artist, I would say there are many good scenarios for me to make use of VO2 stats. But then again, if the Sport Pulse is measuring my V02 stats and the Sport Coach is handling my reps, wouldn’t I benefit more from getting stronger with the Coach’s assistance? For example, if I halt technology writing and pursue a professional sports career again, knowing my V02 stat might prove vital, as it could be something I’d use to gauge myself against other athletes. Afterwards, I could use that information to become more competitive, but for anyone else that isn’t dead-set on athleticism the VO2 stat might just be a pretty stat. Regardless, it’s impressive and it being an option has value. Both headphones do a great job staying in place when you’re running and deliver solid sound at the same time. The Sport Pulse is meant for runners, cyclists and any other athletes whose exercise relies on the cardiovascular system doing tons of work. Being served better information in that category would be vital. The Sport Coach, on the other hand, are better suited for crossfit exercise — e.g. counting reps and ultimately, building muscle mass and strength. In both cases, the battery life is the biggest negative. Either way, you’ll need to recharge in a couple of hours. Both you and the headphones.